This article presents a way to keep calm and be yourself, even if life appears to be meaningless and hopeless. Like the sages of old, you too can become the calm and cool captain of an impregnable space ship sailing serenely through the misfortunes and calamities of life. This is not an absurd dream, but a practical possibility. A few simple steps can free you of your burdens and those same steps will help you to comprehend the precious freedom, that you have inherited. You have within you the power to experience the world, without suffering. Learn that you are an ethereal consciousness, a camera without even a memory, which merely reflects a kaleidoscope of sense patterns produced by your brain. Nature's outmoded design causes you to experience agony over the volatile interpretation by your brain of life's supposed burdens. The good news is that nature will also allow you to discard those burdens and walk free. Be the cool captain of an impregnable space ship observing the turmoil of life. Nature has endowed you with many pilots, to manage the ship of your life. Those pilots follow strategies of primeval jungles. Serenity comes when the cool captain takes over. 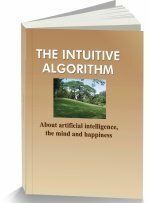 Intuition is a process, where your brain evaluates a situation and arbitrarily grants control to any one of the pilots. Your captain, your consciousness, is an intelligent observer, who sincerely accepts the view of the pilot in charge. But, self awareness can make the captain realize the folly of the pilots who take charge. Self awareness will still the cacophony of the pilots and put the captain in charge. You need to follow some mental and physical exercises to enable the captain to take charge. When misery overwhelms you in your space ship, your conviction of adversity comes from a foolish quirk of your mind. It is the deluded outlook of one of the many navigators, who manage the immense complexity of your space ship. Your limbic system, (the brain regions which process your feelings and emotions), is the situations room, which houses the navigators. Outside your awareness, they observe the status of the ship. The numerous pilots plan a diverse range of strategies to cope with your life. Should it be fearful retreat, aggressive attack, or a jealous swipe at a competitor? They search vast libraries of manuals for ways to achieve the objectives of their particular strategies. One pilot (anger) has the experience to navigate aggressively. Another (fear) follows defensive strategies. Yet another seeks relaxation of the stresses of the flight through play. Yet another jealously seeks to be the best ship in the fleet. Still another is caring and protective of the fleet. Anger, fear, laughter, envy and love are all possible strategies to manage a crisis. When the fearful pilot takes charge, he primes the systems of the ship, causes you to feel stress, even to the extent of making you nauseous. When another implements protective strategies, you feel warm and loving. In real life, these navigators represent explicit neural circuits, which have the power to make you laugh or cry. Each emotion manipulates you like a puppet on a string. While its mechanisms are more wondrous than most imagined space ships, the control systems of your brain are sadly fragmented. The ancient logic of your brain was wired to deal with primeval life and death situations. The responses of most of the navigators of your ship are more suitable for the jungle. While mankind left the jungle eons ago, these pilots become emotional and excitable in the face of ordinary social defeats or setbacks. They deluge your consciousness with negative patterns. They tense your muscles, raise your blood pressure and prepare you to fight tigers. Their confused logic causes you to see saw between despair and anger, when faced with ordinary issues in life. These precipitate reactions, wired into the system, are a nuisance. You can be free of turmoil only if the serene perceptions of the captain of your ship, your human level intelligence, controls your brain. Located in the prefrontal brain, nature has designed this entity to be invulnerable, however hopeless your battle. But, an emotional navigator can take charge in 20 milliseconds, while it takes 350 milliseconds for the calm and cool captain of your ship to comprehend the problem. Panic sets in before your captain realizes that it is not a snake, but a garden hose. The steps suggested in this article will help the captain to switch off the panicky advice of your excitable navigators. Only their silence will induce the captain of your ship to take full charge. Then, whatever the circumstances, you can effortlessly keep calm and be yourself. As your brain developed over millions of years, it assembled the emotional navigators, each a canny bundles of nerve cells, with access to generations of stored experiences. They continually process complex data and make decisions before you can even blink your eyes. As an example, you comprehend this sentence, because a few of those nerve cells scan the black and white pixels on this page, identify the words and expressions, sift your experiences and deliver their meaning. That process is far too quick for your direct participation. Such nerve bundles sense danger and opportunity, or trigger guilt and shame. Those competing navigators come to conflicting conclusions. An intuitive mechanism in your brain switches control to one of the many navigators. The decision process undermines the captain by handing over charge to the most vociferous navigator. With emotions in charge, you have a blinkered vision. You exist as a pure awareness, which has the capacity to perceive the results of complex processes in the ship, feeling its pain as well as the joy of its laughter. It can perceive the vast horizon of the feelings of your body, of your current goals and a myriad of emotions. But, sadly, nature grants your consciousness a limited perspective. 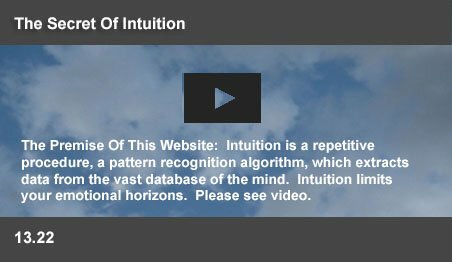 The intuitive focus of your brain limits the data available to your consciousness to a narrow slice of that panorama of patterns – to the viewpoint of a single navigator. Your conscious perception this moment is limited to the viewpoint of a single emotion – your current navigator. If that restricted pattern looks dark and bleak, you sink into despair. Your consciousness is not a ghost, but a concrete entity. But, it is a mere spectator. Your conscious awareness is not a player in the complex drama of life, but a mere observer. As Paul Ekman, the emotions scientist, writes, you become aware that you are angry only after anger takes control of your system. The remarkable experiments of Benjamin Libet showed that the brain acts 350 milliseconds BEFORE you become conscious of your action. You are just a puppet, whose convictions follow the dictates of your brain. Like a reflecting mirror, your certainties shift from the narrow view of one emotion to the equally narrow and opposite view of another. But, there is hope. While nature designed emotions to have narrowly focused views, the prefrontal brain was designed to have a clear uncluttered view. When that human level brain takes charge, it sends inhibitive impulses, which still the emotions triggered from the amygdala. The captain sees a situation, not an irritating, or fearful situation. With the captain of your ship in charge, your consciousness will be equally convinced that the things which looked bleak earlier were as irrelevant as “birds in the sky!” You cannot force the captain to take serene charge. But you can do things, which quiet troubling emotions. In that offbeat solution lies the key to your serenity. Your serenity arrives, when emotions are stilled and the captain of your ship takes charge. That requires your vociferous navigators to become quiet. Your limbic system, which houses the navigators, contains an auto tuner, which selects your current navigator. Your spinal cord has the capacity to decide, which of your 60,000 muscles contract or relax. It makes those decisions thousands of times a second when you speak a word, or write a letter. So also, your limbic system decides which emotion to be activated, while all opposing emotions are stilled. Unfortunately, the auto tuner has a primitive logic. It will switch controls to the loudest and the earliest signals. It gives charge of the mind to the most vociferous navigator, not to the wise captain. It decides before the mind has had time to evaluate the problem. Anger takes charge. Your consciousness is a spectator, who always sees only the current strategy. It is a milieu, where your perceptions leap ceaselessly from emotion to emotion. Naturally, you long for some blessed peace. That state is practically possible, only if the auto tuner permits the captain to take charge. Fortunately, nature has granted the captain a special skill, which provides a fortuitous key to your serenity. Only the captain can direct the system to listen in to the chatter of the navigators, who never listen to each other. The auto tuner always accepts a signal from the captain to pay attention. Since the tuner is constantly alert to signals from all pilots, the timid signals from the captain will normally be drowned by the competitive voices of the navigators. So, to win your serenity, you must choose moments of quiet in your busy life, to enable the tuner to accept the request of the captain to listen in on the internal chatter. Allot a quiet time for yourself and spend it in solitude. If you learn the art of relaxation, you can become quiet in the middle of a crowd. Sages from the past have recommended for centuries that you meditate and become aware of the chatter within your mind, when you have moments of quiet solitude. With practice, the captain will learn to recognize tangible internal voices. With the first recognition of the emotional outcries of a navigator, you will have an “Aha” moment of discovery, suddenly realizing that the captain is the real you. Not the navigator, who just uttered a profanity, or chuckled. The rash impulses from other pilots to strike out wildly, or to sink into the depths of despair belong to lower level animal systems! They are not adult inputs, but primitive evolutionary responses to situations. They are distinctly not you. Each time your captain discovers this truth, that navigator, will back off. Gradually, the captain will become familiar with the voices of other pilots. Familiarity will still their voices one by one. As their strident signals wane, the auto tuner will grant persisting control to the captain. With him in charge, your ship will begin to perform at its best. You can do no better than to reach a state, where his wisdom delivers your decisions. While self awareness is the key to a serene life, there are a few other steps needed for you to reach there. Along with self awareness, you will need to understand your limitations, so that the navigators don't keep battering against the walls of the cage of life and prevent your captain from being heard. There are also relaxation and breathing exercises, which quiet the navigators. But, for the captain to take control, your navigators should also comprehend the benefits of serenity. All those entities should decide to devote your quiet times to the captain for him to listen to your thoughts. They should allow him to recognize your feelings and emotions. When that happens, your mind will gradually become calm and still. Your captain is a purely rational intelligence, untouched by the worries and fears of your lesser pilots. It is the real you, which can see the whole horizon of your life. When he takes charge, you will not feel fearful, angry, or jealous, but will be calm. Your ship will be wisely guided, even if you face a sea of problems. For thousands of years, sages have known the benefits of being guided by the pure, unemotional wisdom of your captain, your true self. Then you will naturally keep calm and be yourself. This page was last updated on 22-Jan-2016.